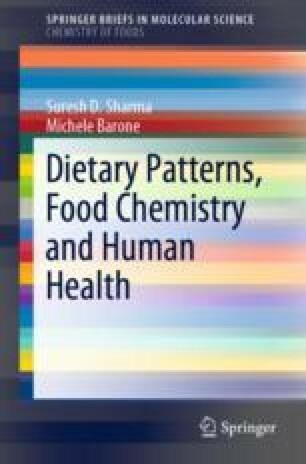 The evolution of modern food productions has progressively modified dietary patterns in the industrialised world with the increase of chronic diseases. The technological progress in food industries might be roughly correlated with the concomitant augment and differentiation of certain diseases. The diversification of the problem has to be expected because foods and beverages imply a multidisciplinary knowledge, including microbiological causes and effects, chemical and physical features, technological factors also linked to the First and the Second Laws of Food Degradation, nutritional and hedonistic behaviours, and public health. The aim of this chapter is to describe one of the most interesting issues correlated to foods normally containing ‘Maillard reaction products’: the production of advanced glycation products. High levels of these complex compounds are reported in relation with chronic diseases (renal failure, diabetes, oxidative stress, inflammation, etc.). Because of the strict relationship between the observed increase of glycation end products and thermal food processing, the chemical identification and quantification of these compounds in foods are extremely useful. In addition, this chapter described some possible solutions and health guidelines for consumers against deleterious effects represented by advanced glycation products.